Often your Wedding Day seems to be over in a blur and then you are whisked away on your honeymoon. 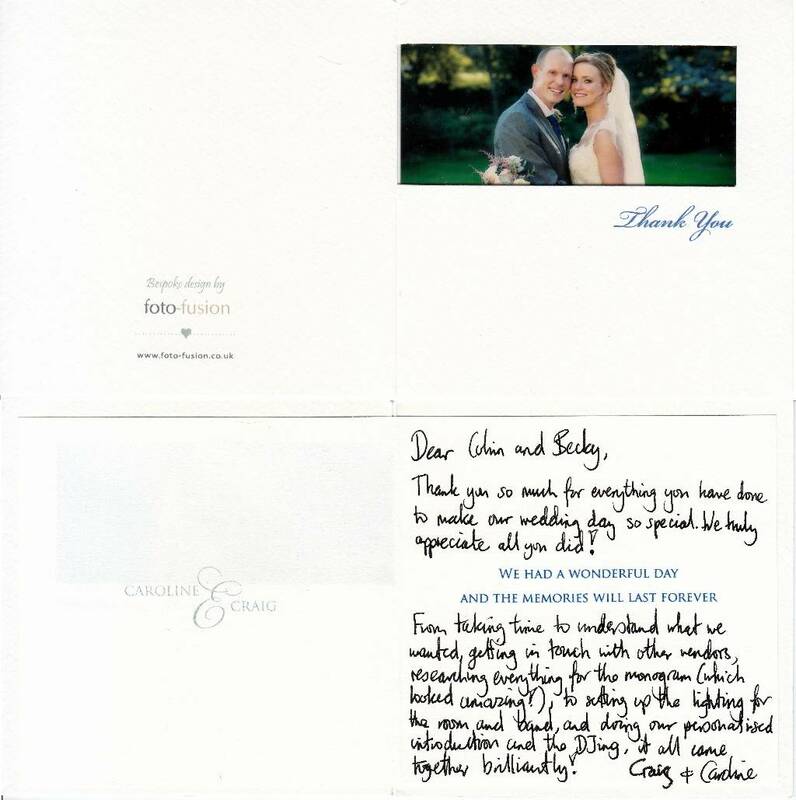 A few weeks later you are back, writing your thank you cards to your guests etc and looking forward to receiving the proofs from your photographer. When clients take the time to send a thank you card, note or even an e-mail it is so rewarding, and reading these comments often brings home just how fantastic my job can be. Here is a small selection of comments from clients, and at the bottom are some scans of the actual comments. As a Wedding DJ it is lovely to receive comments from clients – after all the Evening Reception is the longest part of your Wedding Day with the most amount of people, and your choice of Wedding DJ is vital in ensuring your guests take away with them fantastic memories not only of a good Wedding Disco, but also of having shared a wonderful day with you, celebrating your Marriage. I’m delighted to say that many of my clients have stayed in touch to this day. I thought I should email and say Hi and thank you for the rather shorter than we’d planned disco at our wedding in October! We didn’t quite make it on honeymoon and the rest of the weekend wasn’t how we’d envisaged it but we had a great time and from what I can remember of the night before my untimely accident everyone was having a great time! I hope I didn’t give you too much of a shock! The night was going exactly as we wanted it, really chilled and some great tunes. The dance floor filled up and it was all great, the sound quality was excellent, I was surprised the quality was so good as your kit was so compact, as we’d requested. I wouldn’t hesitate in recommending you to anyone, the thought you put in before the day and your honest opinions and ideas were really appreciated! I’d spoken to other DJs before booking you and just didn’t feel confident with any of them, yet you put my mind at rest and so obviously put our requirements at the top of the list! 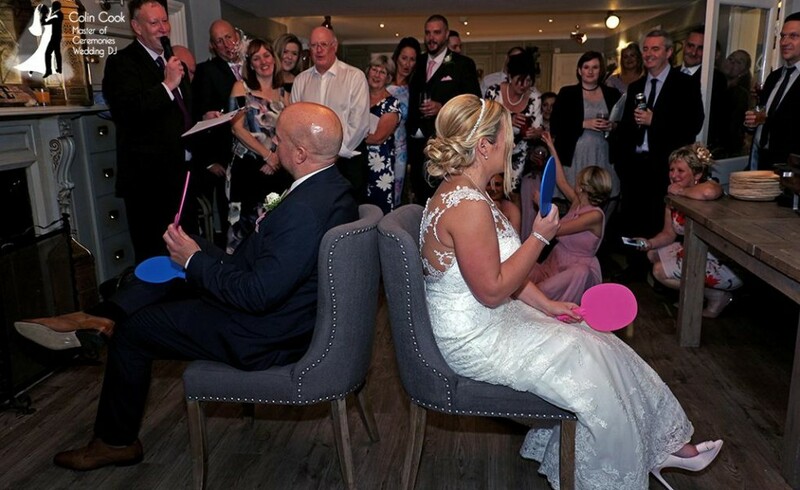 Just a little note to say a belated but huge thank you for being a part of our wedding day and making it go with a swing. We were so happy that you managed to understand our music tastes and give us what we wanted on the night and kept our guests happy at the same time. Highlights for us were Alasdair and the other officers doing the YMCA, Backstreet Boys and 5ive, and Stone Roses – we got massive kudos from some of Alasdair’s music-loving friends for having the only wedding they’d heard that kind of music at. We really enjoyed ourselves and so did our guests so thank you and we will be recommending you to all our friends. Thank you for everything Colin – it’s been a perfect day. From the moment we first met you we knew you were the right person to help make our day special. The photo slideshow was very popular, your music choices have been spot on and everyone has had a great time. You helped the ceremony go really smoothly and did a brilliant job as our Toastmaster! Thank you. Well what can we say! Absolutely brilliant! Thank you so much for all your help and for providing perfect music for our wedding. From before the ceremony through to the end of the night the music was perfect. So many people have given us lovely comments about the music and the mood lighting. We cannot thank you enough. All the best for the future. Hi Colin, A VERY big thank you for all that you have done to make our big day that extra special! You really are FANTASTIC at what you do and you also go that extra mile …. you were calming my stress levels before the wedding over the phone. you really are a great DJ and all the better a fabulous guy! Our day would not have been the same without you!!! If any prospective clients are reading this Colin is BRILLIANT and i would definitely recommend him. fab guy, great DJ, lights were great and Colin does not go that extra mile…. he goes an extra ten! If you want a good wedding DJ, Mood lighting etc fine BUT if you want an unforgettable one ring Colin Cook! Outstanding DJ and now a great friend! I would just like to say thank you so much for being the DJ at our wedding. 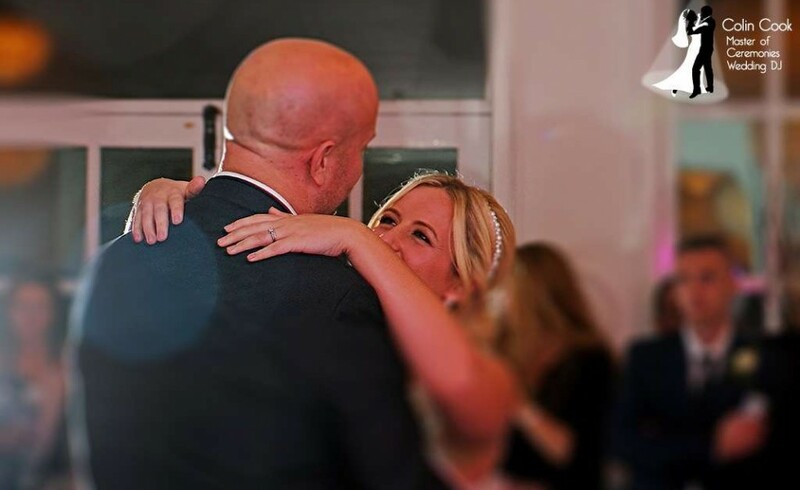 Not many people are lucky enough to receive a professional, supportive and above all consultative service from a wedding DJ. Ben and I and all of our friends thought you were fantastic and I personally thought you were very supportive on the lead up to the day and more importantly on the night. Thank you for your professionalism and I will most certainly recommend you to anyone I know who needs a DJ in the up and coming future. 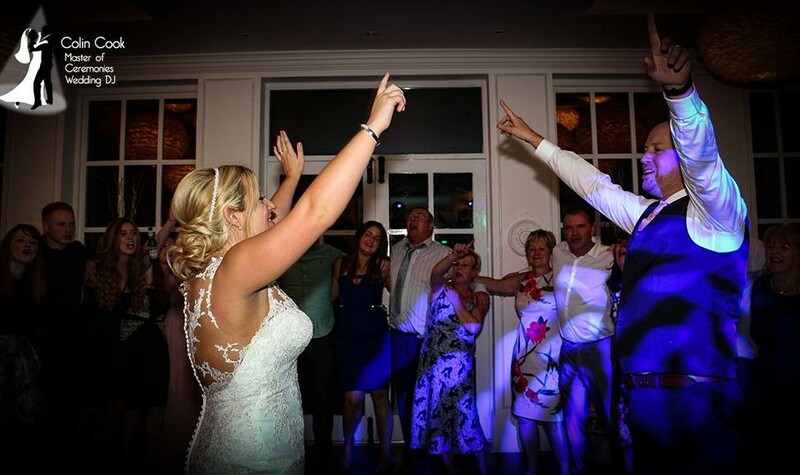 “Hi Colin – We wanted to thank you again for doing such a fantastic job at our wedding – everyone commented on what great music you played, everyone had a ball.